Beth Harte has been dispensing solid, effective marketing advice to companies and students for more than a decade. Now, her killer blog (The Harte of Marketing) and her wisdom-filled Tweets have increased her reach and influence geometrically. That’s a positive development, as her students at Immaculata University and the folks in Philadelphia shouldn’t have her all to themselves. My wide-ranging interview with Beth took place live on Twitter on March 24, 2009. Terrific emphasis on the need for marketing planning, not just tactics. Enjoy. 1. @jaybaer: You’ve gone on record as saying that traditional marketing is still important in this digital 2.0 world. Why is that? @bethharte: I think trad. mktg is important & not going away b/c ppl don’t know what they don’t know. Most ppl don’t spend all day online. I am online all day, but I like TV ads, print ads, articles, etc. to tell me about things I might not even think to search on. 2. @jaybaer: What? People don’t spend all day online? Blasphemy! So how do you find the right potential customers offline? @bethharte: It’s about the “who” not the “what.” People want to connect with ppl. Esp. ppl who will go above & beyond to help solve a problem. Social media is networking online vs. offline. I see it as BD & trust bldg. takes time whether it’s on or offline. 4. @jaybaer: Interesting. Do you think problem solving in public (twitter, blogs, etc.) is an advantage or a hindrance? @bethharte: I think public problem solving is an advantage. It helps cos connect w/customers that they might not have listened to in the past. As well, I also a lot ppl don’t go public until they have exhausted all options. And some just want a voice regardless. 5. @jaybaer: You work with a lot of startups and medium sized companies. Is it easier or harder for them to market these days? @bethharte: Budget is always an issue w/startups & mid-size cos. It’s about being smart w/the $, very particular abt the spend & not wasteful. Strtups/Mid-size cos benefit from mktrs who can write plans. Have goals/objtvs & stick to them! Helps to avoid needless spending. 6. @jaybaer: @jowyang says that 53% of cos are increasing social media spend, but budgets are small. How do you right size the investment? @bethharte: The bottom line is this, talk where ppl will listen & only there. Don’t waste time on Twitter, if your target isn’t there. 7. @jaybaer: Do you advocate figuring out social media metrics up front, or just diving in? Where R U on the social media ROI debate? @bethharte: Getting out my soapbox… Do NOTHING w/out a plan. Otherwise you are spinning wheels, wasting time & resources. SM ROI is doable. If a co. knows it’s goals/objectives (SM or traditional), it’s a cinch to measure. Truly. Learn to write plans…seriously. 8. @jaybaer: Do you have a social media strategic plan framework that you use? What does it include? @bethharte: I use a plan…maybe it’s basic. Goal(s), Objectives (SMART), Strategy, Tactics…and then measurement. Adjust when it’s needed. SMART = Specific, Measureable, Achieveable, Realistic/Relevant, and Timebound. 9. @jaybaer: Nielsen said last week that social networking has surpassed email usage. But, isn’t relevant email still hugely effective? @bethharte: Affective and appropriate email is hugely effective. I LOVE my emails from Amazon. They are a great model. Spammers, go home. @jaybaer: Let me follow up on that for my email friends. What distinguishes email you get from Amazon from the rest? Why is it better? @bethharte: b/c Amazon emails me based on my preferences. I have mktg ppl/cos STILL adding me to their lists w/o my permission. Learn CAN-SPAM. 10. @jaybaer: So, it’s the personalization & relevancy of the message that matter? Would you want it on mobile? Are you a mobile believer? @bethharte: Yes, personalization is key. Or just good information that is helpful. I am fine w/mobile marketing as long as it’s relevant. 11. @jaybaer: 1 of the big changes in marketing is the amount of content. Blogs (including ours), Webinars, etc. How can you filter? @bethharte: Social media (and it’s concepts of listening, etc.) will force mktrs to be more thoughtful and precise. Otherwise it’s a nuisance. It would be cool to sort all content by category (tags on steroids, if you will). Recos are helpful for those just starting. 12. @jaybaer: You are launching the Online Media Bootcamp on 4/9 in PA. http://is.gd/jmS0 What are you hoping attendees take away from it? @bethharte: Thx for the OMBC pimp! I want ppl to learn abt SM/Online Mktg. But more important, I want them to learn that conversation is key. Meaning, I want them to feel confident w/conversation regardless of where it happens. Don’t be afraid to talk to customers, ever. 13. @jaybaer: Is Online Marketing Boot Camp going to be a multi-city series like Online Marketing Summit? Are you hitting the road? 14. @jaybaer: (via @eileenschreiber) Lots of sole proprietors (consultants, Realtors, etc.) using social. Tips for them to be effective? 15. @jaybaer: You have a great post today – 4 kinds of social users:http://is.gd/oJ8k Isn’t SEO an important byproduct of social media? @bethharte: Yep, SEO is very import. to mktg/SM, etc. But it all needs to work together, not siloed. Links for link sake is silly to me. Why? Because you then force people (i.e. customers/prospects/etc) to wade through all the links for what’s relevant. 16. @jaybaer: Several newspapers have probably folded since we started this interview. What does it mean for PR and marketing? @bethharte: Folding b/c they didn’t select relevant content. PR/Mktg ppl will need to live in both worlds (trad & online). There’s no escape. 17. @jaybaer: Do you see PR folks needing to pitch bloggers (like you) differently than they pitched traditional reporters? The only diff. is that bloggers don’t ans to an editor. They can say what they want & that scares PR people. 18. @jaybaer: You and @geoffliving wrote a popular post about social media carpetbaggers http://is.gd/cpOc What’s the concern? @bethharte: Well, I won’t speak for @GeoffLiving, but my concern is companies who are trying to engage online getting bamboozled & wasting $$. 19. 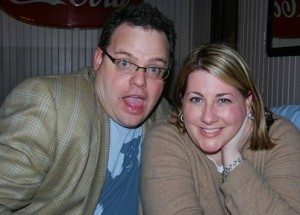 @jaybaer: You’ve been a marketing professor for quite a while. What’s the toughest part? Should we be concerned about future marketers? @bethharte: The toughest part of being an adjunct is when you know the students don’t care & they are just there for a grade (not to learn). 2o. @jaybaer: You’re in Philly. But yet, you’re addicted to cowgirl boots and hats. What’s up? Move to Arizona and hang out with me.